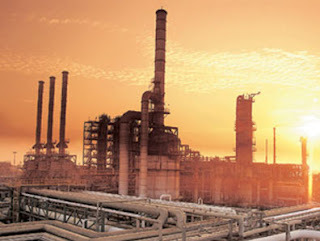 Agartala, Apr 13 : Six Indian firms have expressed their keenness to participate in the first gas-based fertilizer plant of the state-owned Oil and Natural Gas Corporation (ONGC) in Tripura, a senior company official said here Thursday. "ONGC has earlier sought 'expression of interest' from companies with relevant experience and track record to be a partner in the proposed project. Six companies, including a government-owned corporation have expressed their willingness to associate with the venture," K. Satyanarayana, group general manager, ONGC Tripura, told IANS. ONGC has initiated the process to set up a Rs.5,000-crore, gas-based fertilizer plant in northern Tripura to meet the growing shortage of urea, the commonly used soil manure in the northeastern region. The plant would be a joint venture between the ONGC, Tripura government and a fertilizer company. "ONGC Chairman and Managing Director (CMD) Sudhir Vasudeva, would visit Tripura April 23 to review the progress of the 726 MW capacity Palatana power project. During his two-day tour he will also outline the fertilizer plant," said Satyanarayana. The eight, predominantly agrarian, northeastern states have been facing an acute shortage of urea for the past many years. Large quantities of the fertilizer supplied from other parts of India to meet the demand get smuggled out to Bangladesh. ONGC owns significant natural gas reserves in Tripura. Since 1972, it has drilled 164 wells in Tripura, of which 76 wells are yielding gas. The Maharatna company has found huge deposits of natural gas at its Khubal structure, 145 km northeast of Agartala along the Assam-Agartala national highway (NH-44). Gas from the wells there would be supplied to the proposed fertilizer plant. The company official said Tripura Chief Minister Manik Sarkar had earlier requested the union ministry of chemicals and fertilizers and ONGC to explore the possibilities of setting up of the fertilizer plant, using the untapped natural gas. "Responding to the Tripura government's request, ONGC has internally assessed that the urea unit can be set up in Tripura with the natural gas the company has abundantly found in the state," said the official. Vasudeva, accompanied by top company officials, had visited Tripura last year to personally study the feasibility of the proposed plant. Vasudeva had then said that ONGC had asked government-owned Projects and Development India Limited to conduct a detailed study on setting up the fertilizer plant and to prepare a detail project report. The proposed fertilizer plant will be the first such ONGC project in India. ONGC is now commissioning its Rs.5,000 crore thermal power plant (726 MW) in southern Tripura's Palatana, 60 km south of Agartala. It is the company's first mega commercial project which would start generating power by June this year. According to Satyanarayana, the company's Tripura asset has posted a net profit of Rs.47 crore during 2011-12 fiscal. It had first registered a profit of Rs.24 crore during the previous year (2010-11). "Exceeding all its targets during 2011-12, including gas production and sales, drilling of wells, the ONGC's Tripura asset has produced a record 643.9 Million Metric Standard Cubic Meters (MMSCM) of gas," Satyanarayana said. There are ONGC's 11 gas fields in Tripura. The gas exploration success ratio in Tripura is 2:1 (after drilling of two wells gas found in one well) against the world success ratio of 5:1.